Posted by Derek Bruff on Wednesday, September 21, 2011 in News. This post is part of our series of posts related to the CFT’s 25th anniversary. 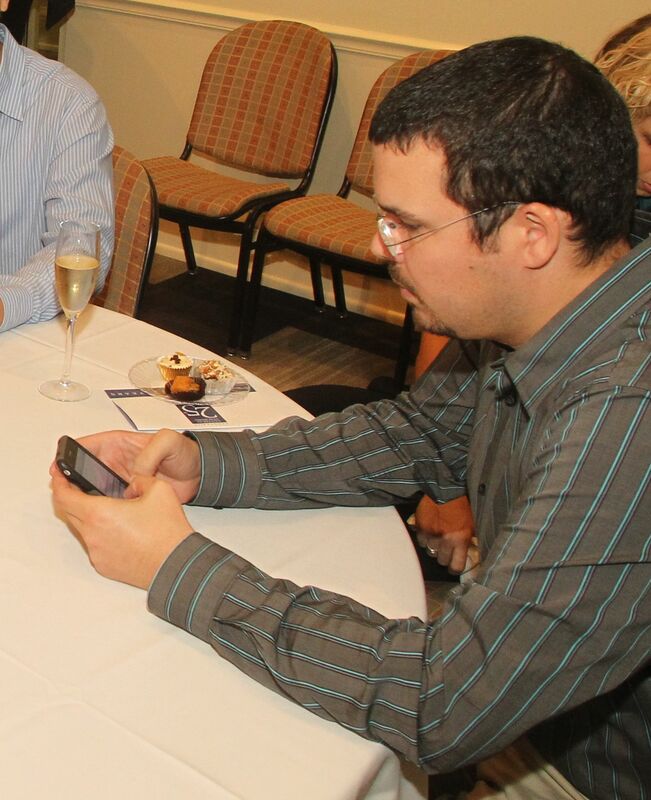 I tweeted 70 times during the CFT’s 25th anniversary events the other week. For the uninitiated, Twitter is a micro-blogging service that allows users to transmit messages of up to 140 characters via web or text message. These messages are publicly archived and searchable at Twitter.com, and are also delivered to the people who “follow” my Twitter account, @danrmorrison. During events like these, such as academic conferences I’ve attended, I like to act as a sort of public note-taker, distilling insights from the panelists and presenting them concisely, as well as tweeting thoughts or references sparked by group discussions. The hashtag #cft25ann allowed me to do this—with this tag, I marked each tweet as related to the ongoing celebration. A few of my tweets were “re-tweeted” or copied and passed along by others who thought they were worth sharing with their followers. I also gained a few new Twitter followers, professors with interests in the scholarship of teaching and learning and academic administrators within centers for teaching and learning. In addition to public note-taking, tweeting at the symposium allowed me to discuss presentations and sessions using the “backchannel”. Backchannel refers to the conversation that is happening in real time on Twitter that runs parallel to the spoken conversation in a room. Often, these backchannel conversations raise questions or engage new ideas while a presenter speaks. During one symposium session, another GTF and I considered the ways in which the tenure, promotion, and reappointment process may discourage instructors from talking about social responsibility in the classroom, and from bringing their classes into the community. The Twitter backchannel offered us a second dialogue space, where we could both reflect and share our thoughts in real time. Tweeting also allowed others not in the room to follow the activities and insights shared during the event. My tweets about the tenure, promotion, and reappointment process were read by Tony Christensen (@CasualTaoist), a criminology professor in Canada. Christensen follows CFT Acting Director Derek Bruff (@derekbruff) on Twitter and had been curious about the discussion happening around the #cft25ann hashtag. That led him to my tweets, and he asked Derek and me to say more on the topic. Together, we discussed the role of student evaluations in retaining non-tenure track faculty both here and at his university. Derek’s tweets were also mentioned and re-tweeted by other Twitter users, spreading information about and reflections on the CFT’s 25th Anniversary Symposium. Have you ever used Twitter during an academic meeting, conference, or symposium? How did it work for you?